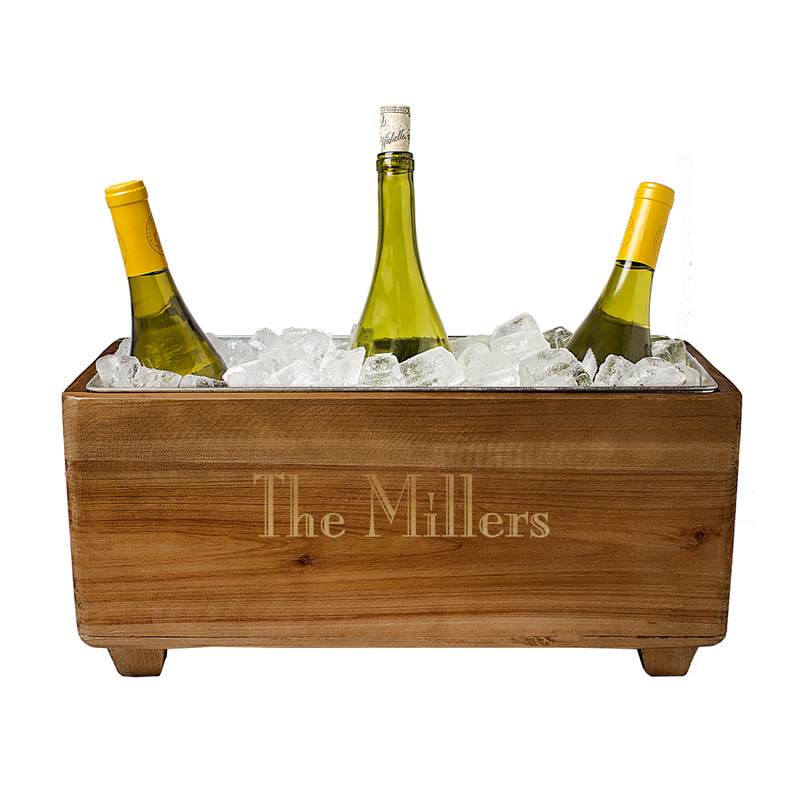 This custom rustic wood wine trough is truly a show stopper. A unique home decor gift idea that anyone will love. 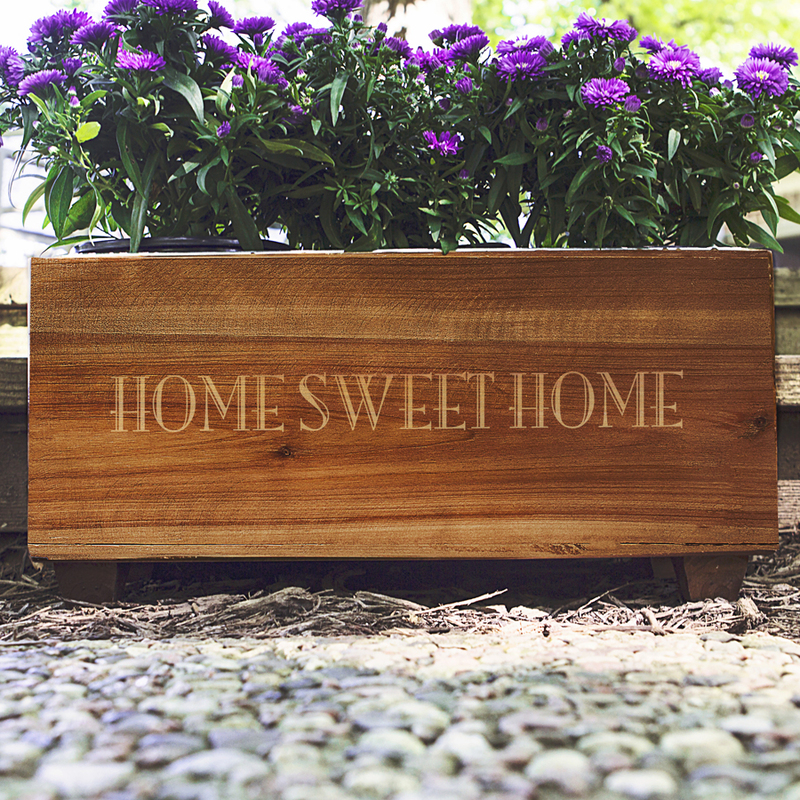 Made of rustic, stained fir wood, the front is laser engraved with a name or short phrase in the block lettering shown; up to 15 characters. 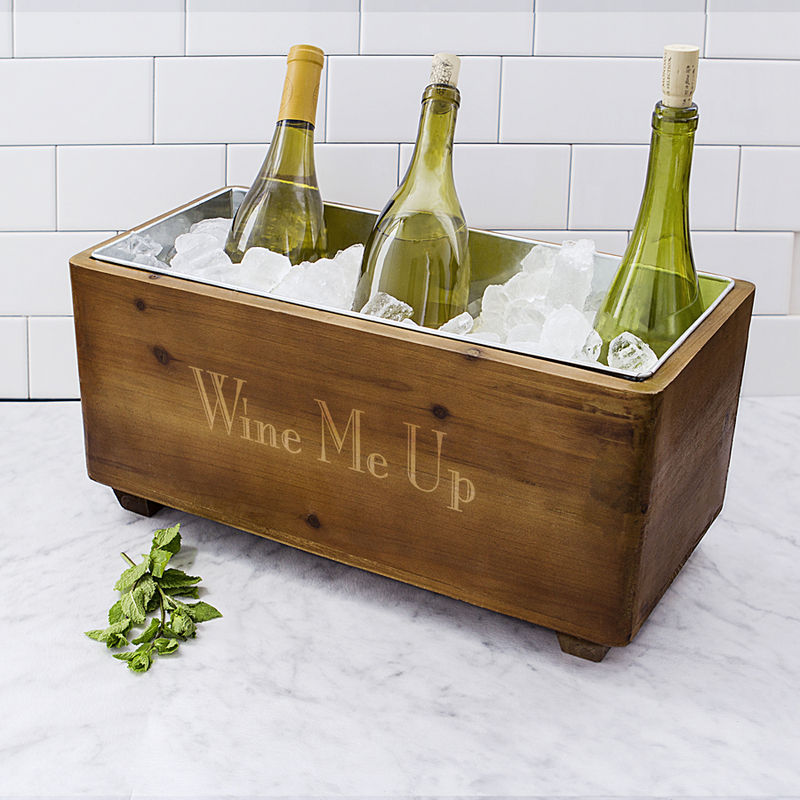 This roomy portable wine trough will comfortably hold three or four bottles of wine with ice for entertaining your holiday guests or at a housewarming party or get together. 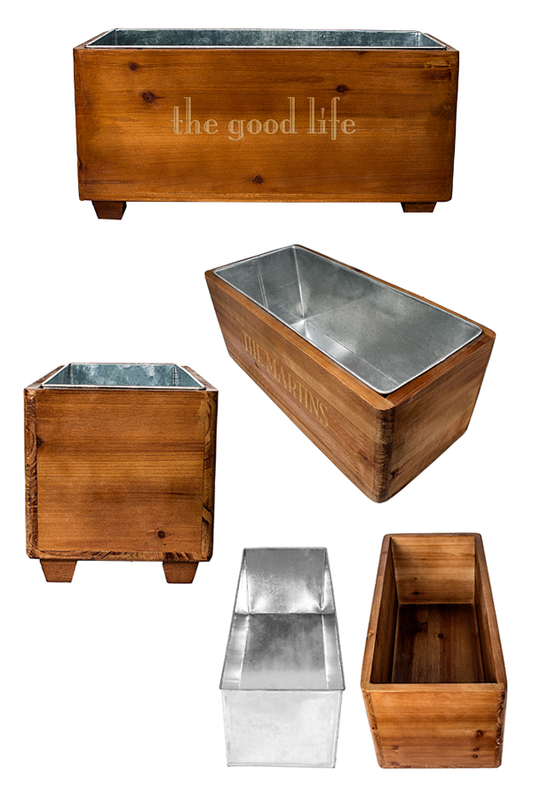 Each trough measures 17 1/2 inches long by 8 inches wide by 8 1/2 inches high. The removable galvanized metal insert keeps moisture away from the wood. This versatile wine trough can be used to either hold bottles of wine, as a decorative planter, or a magazine holder as a useful gift anyone on your gift list is sure to love. ** Naturally occurring variations, including knots, notches and swirls in the wood grain, are inherent to the material and may occur. The rustic finish is intended to enhance the warmth and character of these physical traits and contribute to their one-of-a-kind beauty. The product was as described. Bought it for a wedding gift and it was great. Great wine chiller. I have purchased a few for wedding gifts and are always loved! Nice engraved wood trough drink cooler. Just perfect. Wonderful craftsmanship. Easy and fast service. Bride and groom loved it and so did everyone else.